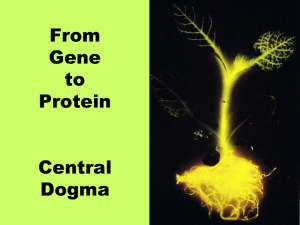 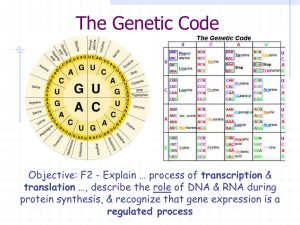 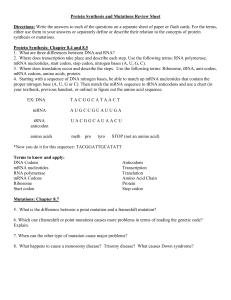 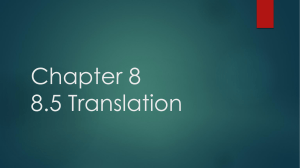 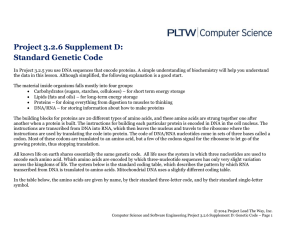 The genetic code is the set of rules by which information encoded within genetic material (DNA or mRNA sequences) is translated into proteins by living cells. 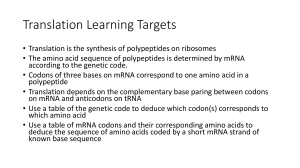 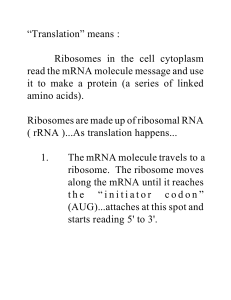 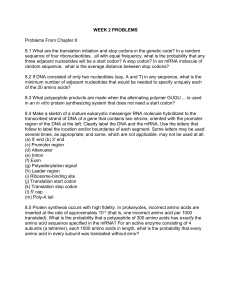 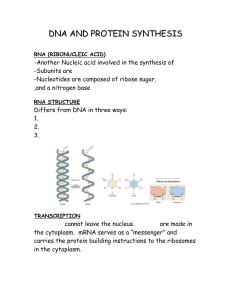 Biological decoding is accomplished by the ribosome, which links amino acids in an order specified by mRNA, using transfer RNA (tRNA) molecules to carry amino acids and to read the mRNA three nucleotides at a time. 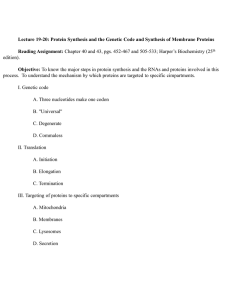 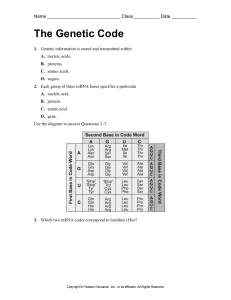 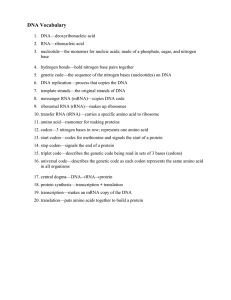 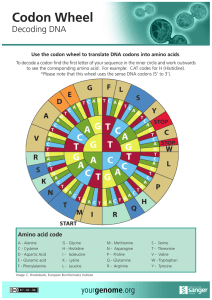 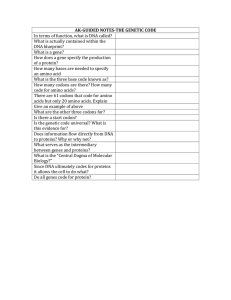 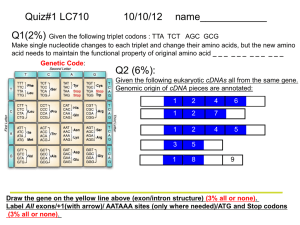 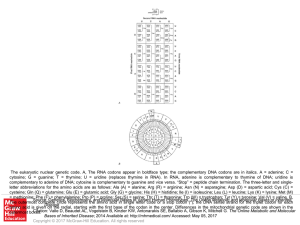 The genetic code is highly similar among all organisms and can be expressed in a simple table with 64 entries.The code defines how sequences of these nucleotide triplets, called codons, specify which amino acid will be added next during protein synthesis. 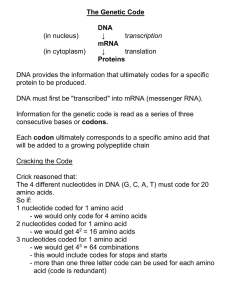 With some exceptions, a three-nucleotide codon in a nucleic acid sequence specifies a single amino acid. 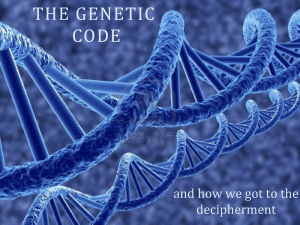 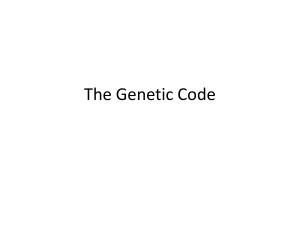 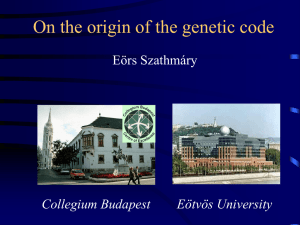 Because the vast majority of genes are encoded with exactly the same code (see the RNA codon table), this particular code is often referred to as the canonical or standard genetic code, or simply the genetic code, though in fact some variant codes have evolved. 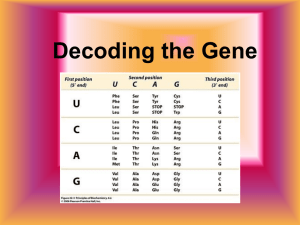 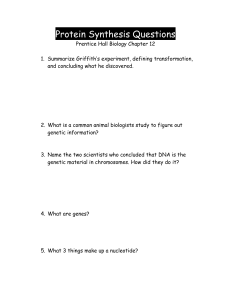 For example, protein synthesis in human mitochondria relies on a genetic code that differs from the standard genetic code.While the genetic code determines the protein sequence for a given coding region, other genomic regions can influence when and where these proteins are produced.